JT International (JTI) is the 3rd largest international tobacco manufacturer and the fastest growing company in its sector. JTI makes and sells 90 different cigarette brands that are sold in over 120 countries worldwide. JTI employs 23,000 people in 40 offices and 30 factories and R&D centers around the world. 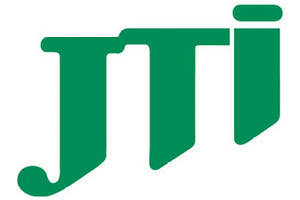 JTI started to operate in in 1993 under the previous name of RJ Reynolds. The company is one of market leaders in , recognized as leader in product quality. Own national distribution system, and 29 sales offices nationwide. Starting 2009, JT International activities in and will be regionally managed from Bucharest office. A dynamic portfolio that includes internationally recognized brands such as Camel, Winston, Benson & Hedges, Sobranie, Glamour, Monte Carlo, Winchester . A responsible company engaged in supporting the local community, involved continously in social programs since 1998. JTI Encounters is a premium cultural event, organized by the company each year with prestigious dance companies (i.e. Compania Nacional de Danza, Bejart Ballet, etc). JTI European Scholarship for Journalists support development of professional media. Company’s cultural Japanese Heritage promoted by JTI within the Japanese Cultural Centre (www.csrj.ro) and Japanese Cultural Festival .